Hello everyone, and welcome to the Open Forum, which is hosted by Kotaku's reader-run blog, TAY. This is a place to talk about life, video games, or anything else, so feel free to hop in and join in the topic discussion, or comment about anything. Then, when you're done, feel free to peruse the articles on TAY and TAYClassic. Is this your first time on TAY or the Open Forum? Then check out this handy TAYTorial! If you still can't get enough of us, stop by the IRC Chatroom. Finally, if you need to reach an admin or author, find them fast in the DirecTAYry. What's up TAY? Hope you all had a great weekend. DisturbedShadow here filling in for Morie who is unavailable "because Japan" as she put it. So I wrote this one a while back when I was potentially going to take over the days that SupremeEvan took over instead (you're doing great Evan by the way) and had no way of knowing if/when it would see the light of day. 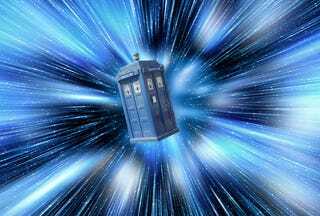 Naturally this got me thinking about time travel and related subjects. How different will I be in x number of years? What advice would I give my future self? That kind of stuff, you know? I think I will be pretty similar to the way I am now, but I think that's what we would all like to think about ourselves. Who knows? I think I would tell myself not to give up on trying to be better at being more social but not at the cost of putting on a fake persona. I've always been a really shy person, to the point of not really being able to function from day to day and since I've started college I've been working really hard to get better at social interaction. I don't want it to compromise who I am as a person though so I would want my future self to keep that in mind. Wow, this got philosophical. Enough of my rambling! What do you think TAY? What advice would you give your future self? If you could travel to any location and any period of time where/when would you want to go? Who's your favorite time traveler? Don't care about this topic? Talk Amongst Yourselves about whatever you want below.